The topic of this module is how to assess collaborative learning using rubrics and checklists. By the end of this module we will learn how to choose appropriate assessment strategies and how to create and implement rubrics, checklists and other assessment methods. 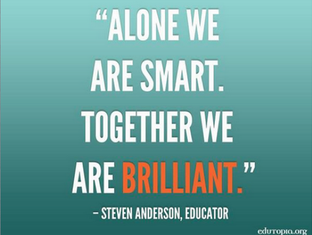 3.2 TeachMeet - Collaboration: together and beyond! A TeachMeet is an informal way of sharing ideas amongst teachers. I'm a huge fan of Teachmeets. 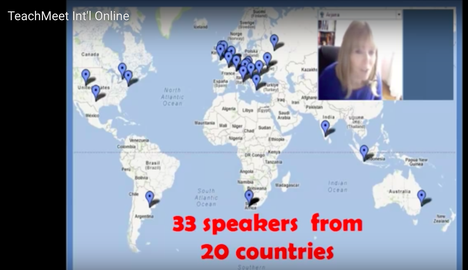 I have not only taken part in many but have co-hosted a number of online and onsite Teachmeet events. You can find more about it here: TeachMeet Int'l. 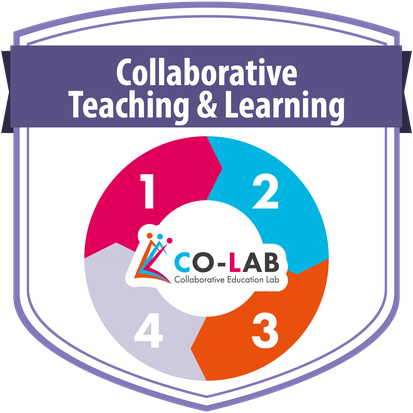 A CO-LAB TeachMeet will be held on Wednesday 23rd November at 18:00 CET. I'm really sorry because I teach at that time and won't be able to join the event. However, I'm looking forward to listening to the recording later on. In this part of Module 3, we look at assessment from the perspective of collaboration - how collaborative learning can be enhanced by assessment. The role of assessment in collaborative projects is to encourage students to take responsibility for their participation in team work and to help them understand and embrace the collaborative, not competitive nature of a collaborative learning process. Our students should also understand that we learn better in groups than alone, because we can help each other overcome difficulties and solve problems. Assessment shouldn't discourage learners, but rather strengthen their commitment to learning. It should be brief, clear and timely so that it can help students improve their skills and knowledge. 1. Formative assessment represents diagnostic testing, which can be either formal or informal, i.e. students can but don't have to be given a grade for the learning activity. What matters is that both student and teacher receive valuable feedback, which enables them to keep track of student progress and monitor student achievement. Feedback shows if students have mastered a concept or they still need to work on it. It also gives teachers an insight into their teaching and shows if they have to modify their activities. Constant feedback on student performance is crucial for students to enhance their learning. 2. Summative assessment refers to the assessment of the learning: students take an exam which measures the knowledge they gained over a particular period of time and for which students will be graded. Traditional classroom is based mostly on summative assessment, whereas in the 21st century classroom summative and formative assessment should be well-balanced. 3. Self-assessment By reflecting on their learning students become aware of weaknesses and are motivated to work harder for improvement. We should teach students how to assess themselves, because many find it difficult to objectively assess their own skills and knowledge. When speaking of self-assessment we also need to mention self-regulation or self-directed learning. In the 21st century workplace, people are expected to work with minimal supervision, which requires them to plan their own work and monitor and evaluate its quality. These are the qualities that describe self-regulated or self-directed learners. 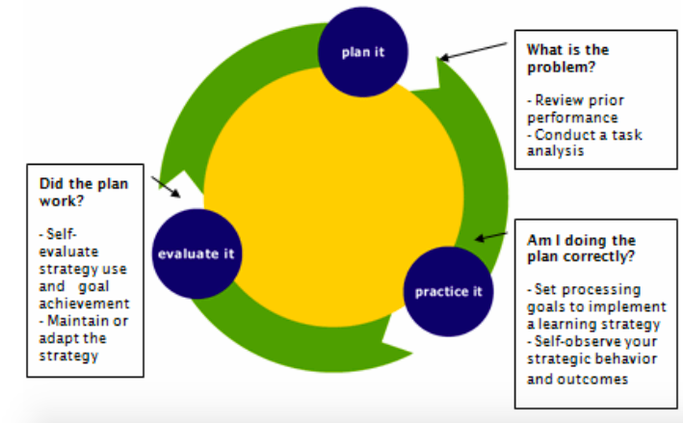 According to Barry Zimmerman, one of the foremost researchers on self-regulated learning, self-regulated learning represents an ongoing series of feedback cycles that consists of three phases: planning, practice and feedback. During the planning phase, students learn to assess their previously gained knowledge, choose appropriate strategies and set short and long-term goals. 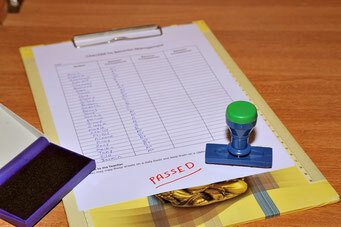 During the practice phase, students implement the strategies and keep track of their progress. During the evaluation phase, students evaluate the effectiveness of the strategies. Feedback from this phase serves as the basis for the next SLR cycle. When students are actively engaged in the learning process, they take greater responsibility for their learning and in this way their performance improves. - plan where the work will be done. Teachers can help students learn to monitor the quality of the work they produce by giving them assessment or quality criteria in advance. Assessment criteria are the factors that the teacher considers in grading the students' work. When students are given the criteria in advance, they can examine the quality of their work as they complete it. In this way, they can practise assessing their own performance and improve their work before submitting it. 1. Individual performance: The students were provided with opportunity to critically evaluate their own work. They complete a self-assessment sheet to evaluate their contributions to the group. 2. Group performance: At the end of their work, Chrysa invited all her students to discuss group work together. She encouraged them to implement peer assessment by guiding them through a variety of questions to make them aware of how peer feedback can help them to make their learning even better in the future. 3. Group functionality: Chrysa walked between the groups and observed how they worked. If she saw that a group was not functioning well, she would encourage and support them to get them back on track. Chrysa feels that the assessment of individual performance was least successful and she asks if there is a valid way to constructively check individual participation within collaborative work. Furthermore, to what extent do we need to assess individual work within a collaborative learning process? I wish I knew the answer, but in my opinion, assessing individual performance can't be neglected, because students are given information about their individual strengths and weaknesses and encouraged to perform better. Another important thing that students need to learn is to accept negative feedback. I think the video below about Austin and his butterfly is a great way to help students understand how constructive criticism can help us improve. 7 – Promotes development of 21st century skills and competences. To this I would also add that collaborative assessment helps learners develop their metacognitive skills. They reflect on the process of learning and become aware of how they are learning, which leads to better learning. 1 - Changing role of the teacher/students in the classroom. 5 - Time available to prepare and apply assessment of collaboration in the classroom. 1 - Assessing collaborative learning requires regular communication between peers and peers and teachers. 2 - Digital tools can be used to support teacher’s planning activities. The use of collaborative digital tools enables teachers to efficiently observe student groups and deliver feedback. Digital tools can also support students to publish and share their assessments. 4 - More interdisciplinary teaching and sharing of materials amongst teachers also facilitates collaborative teachinginterdisciplinary teaching and the sharing of materials amongst teachers as useful tips. In the video below, Anna Laghigna shares her experiences on peer-assessment. I like her idea of student engagement throughout the process of learning - from the beginning when they decide how they are going to reach a certain outcome, until the very end when they are actively involved in assessment. Anna has handed over control of the learning process to students and I think this is where control needs to be - teachers should not control students' learning - students should. Of course, it is difficult to achieve this stage in the learning process, because it can't happen overnight, but if we continuously do it, if we are determined that we want to hand over to our students, our students will be empowered to learn. 3.7 Collaborative learning - What to assess and how? - how to judge the quality of the rubrics you create. The Co-Lab Guidelines for Assessing Collaborative Learning in the Classroom are also an excellent source of inspiration and a very useful set of tips and advice on how to build rubrics and checklists for assessment, peer and self-assessment. I haven't involved my students in creating rubrics, but I will definitely do it for my next project, because I think it can greatly contribute to better learning. - if we want to assess student work at the end of collaborative learning, a checklist might be useful. - if we want to provide students with information on their progress, Likert scales, checklists and quizzes with feedback can be used. - if we want students to give us further information, blogs, portfolios, infographics and mind maps can be appropriate. 1. Diagnostic assessment - should be brief and fast. A rubric can be used to cover the factual, conceptual, precedural and meta-cognitive dimensions of learning. 2. Peer assessment - each learner assumes the role of assessee and assessor. 3. Differentiating individual participation - each assessment dimension should be assigned a percentage weight. 4. Discreet assessment - students do not know that they are assessed, but they understand that they could be assessed without advanced warning. 5. Using mind maps, concept maps and infographics - students are engaged not only in the process of assessment, but also in the process of creation. 3. The lesson plan is well aligned with its learning outcomes: activities and assessment clearly link with the defined learning outcomes and allow the teacher to determine by the end of the lesson(s) if the objectives have been achieved. 4. The lesson plan is balanced: there is a good mix of activities with at least four different Teaching Learning Activities used (TLAs in the Learning Designer) and none of the Activities, except in the case of collaboration, taking up more than 35% of the time.